Home Showbiz Bollywood Ranbir Kapoor to star as a vampire? Ranbir Kapoor to star as a vampire? He’s done the dramatic, he’s done the comical and he’s also tackled the loverboy but if the current rumour-mills are to be believed, star-son Ranbir Kapoor will be playing the role of a vampire in a forthcoming project named ‘Bloody Veer’. The actor will be seen next with Priyanka Chopra in ‘Barfii’ seems to be trying out varied roles of late. 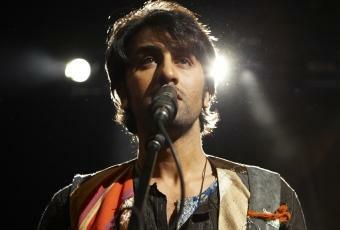 The success of last year’s award-winning ‘Rockstar’ has definitely seemed to have built his confidence. BizAsia wishes Kapoor well for ‘Bloody Veer’, for which we are sure he is the perfect choice for. Next articleCricketer Chris Gayle to join Bollywood?